It all started on the Jersey shore... from the parades on the Boardwalk in Atlantic City (Gregg's hometown) to the famous "Steel Pier", watching Big Band greats like Count Basie, Stan Kenton, Maynard Ferguson and Buddy Rich. Gregg's fiery passion for drums and horns was alive at an early age. He began studying percussion at age 6. By age 10, he was sitting in on local club dates. He later studied timpani, vibraphone and traps with Rick Kivnick at the Settlement School of Music in Philadelphia. Gregg quickly developed a style all his own on both drums and flute. Also accomplished on guitar, bass and keyboards, he soon became known and respected as one of the top musicians along the Jersey Shore club circuit. Gregg arrived on the New York music scene in July of '76. Playing jazz flute on the city streets and getting to know some of the local musicians, he soon began attracting much attention. He worked with Jack Sonni (Dire Straits) and later joined "The Doug Rock Show" with Carlos Alomar (David Bowie, Iggy Pop, Paul McCartney) and John McCurry (Cyndi Lauper, Alice Cooper, Billy Joel). This led to album projects with Ronnie Spector, Benny Mardones and MayDay. Soon after, renowned guitarist, Steve Stevens of "Billy Idol" asked Gregg to join The Billy Idol Band. He soon began touring with The Billy Idol Band and also recorded White Wedding (live) and Rebel Yell. Gregg soon found himself playing, recording and touring alongside various artists throughout the world including Gloria Estefan, Iggy Pop, Mick Jagger, and Roy Orbison. He has also played and recorded with the extraordinary jazz guitarist Stanley Jordon as well as Roger Daltrey of The Who playing with The British Rock Symphony. 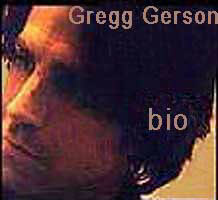 Today Gregg is now an educator as well as composer, arranger of music for TV advertisement and film. He has recently completed a series of concerts with the great classical/rock violinist Alexander Markov playing The Rock Concerto through out Europe, Asia and Israel.